Dear, sorry for my English. I am creating an automation project and in this project I will have a dimerized bulb, however I wish wanted to make this adjustment in the bulb by means of a pulse dimmer (digital wall dimmer) and the blynk using esp8266 together. Not using a standard wall dimmer, unless your electronics skills are very good. If you have both Line and Neutral available in your wall switch then there are some ready made options available that can be hacked to run Blynk code - such as the Sonoff range of dimmers. @wellcome: as @PeteKnight advised “Not using a standard wall dimmer, unless your electronics skills are very good.” It will be a long story ahead if you want really making a dimmer like that. Some tips to be along with code: triac, rotary encoder and the Blynk widget Gauge for your ideas. Last but not least you should find out what the zero crossing is and how to manipulate it. Please be careful with these components as you are starting interfere with AC power when doing experiments. Goods luck ! Thank you for the advice! However, let’s assume I have a good notion in electronics, could you at least show me the materials I should use and the code to analyze? Non of this is Blynk related. If you want to know about dimmer circuit design and control via ESP8266 then do some googling. Once you have a working circuit and code then we’ll help with making it work with Blynk. This board uses RF 433mhz with pulse control value $ 21, however it would have to install the RF in esp8266 plus a change no blynk code. In that case, would it be easy to modify the blynk code? 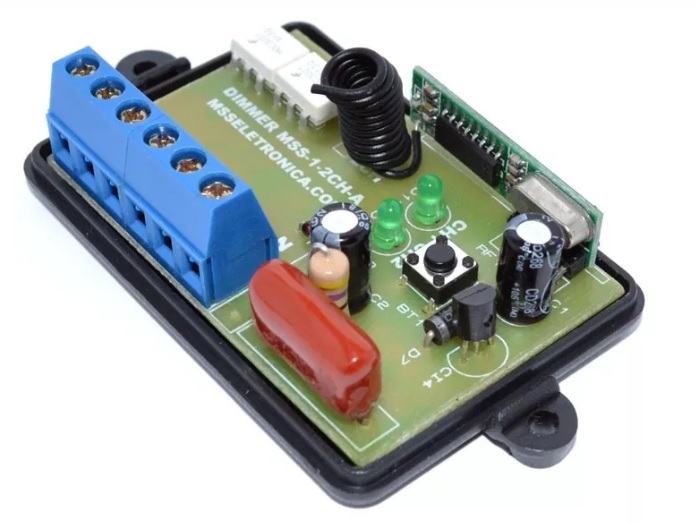 Blynk can be used to trigger an ESP8266 that’s connected to a 433MHz transmitter module, so yes - it would be possible to control this type of device through Blynk. @wellcome: the picture says that your board is only the RF remote control based one so if you want to apply Blynk with esp8266 then you need to add in an esp8266 board and proper connections between them. It is really an interesting job ahead. By the way the picture has all components as concerned. The triac should be underneath. 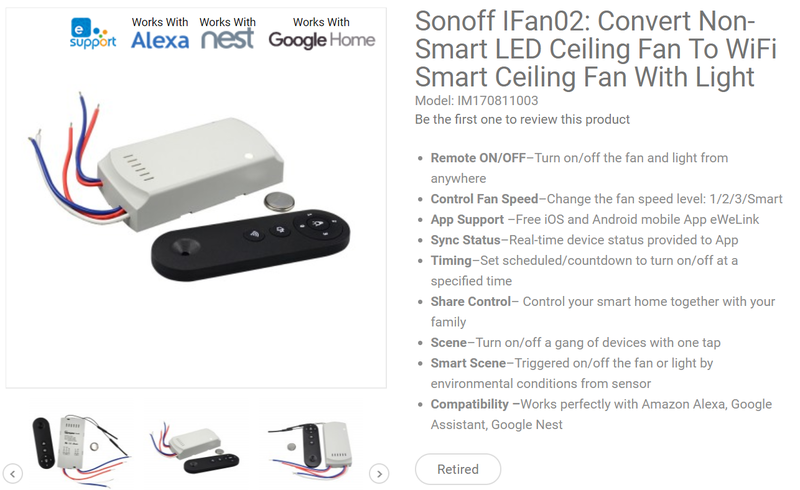 search forsonoff ifan02 its a ESP8266 dimmer (actually designed for fan control) but you can used it for lights with three brightness levels and has additional relay also. The shared link seems the product is no more selling … or just that website. But this one is really easy for the OP to consider rather modification solution except other purposes. search it on Aliexpress or eBay it will be available and cheaper also.